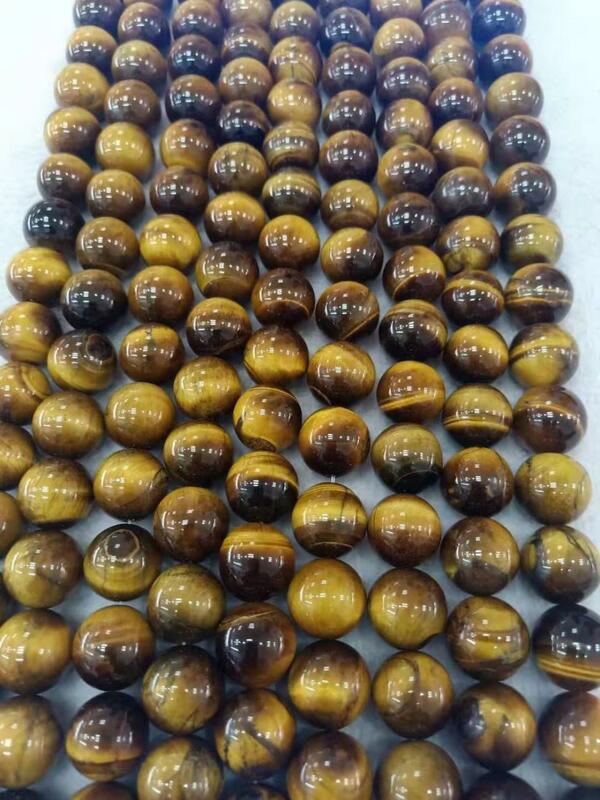 ,yellow tiger eye semi precious stone, bead shape can be round, Bucket etc. round bead size can be 8mm,10mm,12mm-.18mm,20mm. bead surface finish is polished. Each bracelet has about 20(20mm)-115beads(4mm),which is semi finished bracelet, you can make it into finished bracelet (10-22 beads)with your identical idea. Minimum quantity is 500 bracelet for sale. Model No. 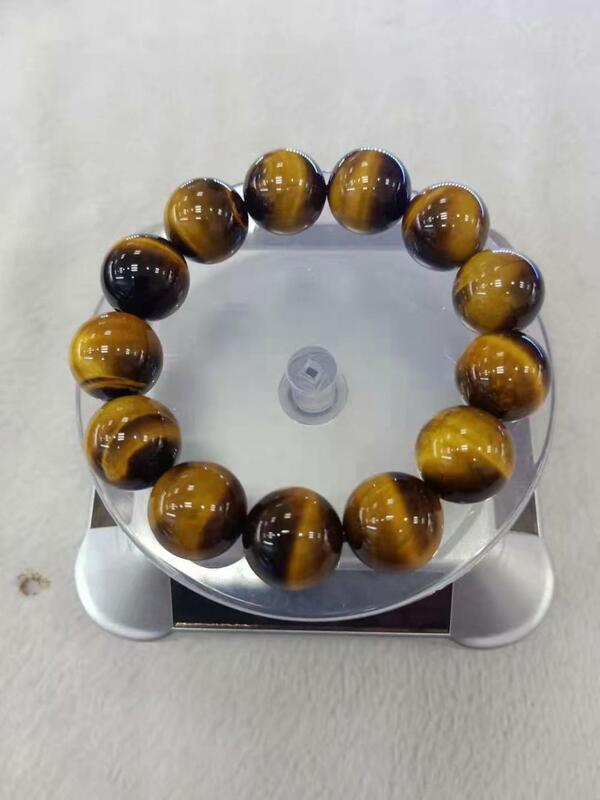 : YTEB001, yellow tiger bracelets ,yellow and black color, round bead, 16mm size, bead shape and size can be custom. Tiger eye bracelet meaning:Tigers Eye Stone is a crystal with lovely bands of yellow-golden color through it. This is a powerful stone that helps you to release fear and anxiety and aids harmony and balance. It stimulates taking action, and helps you to make decisions with discernment and understanding, and unclouded by your emotions. Color: yellow, other color series such as yellow and blue tiger eye. 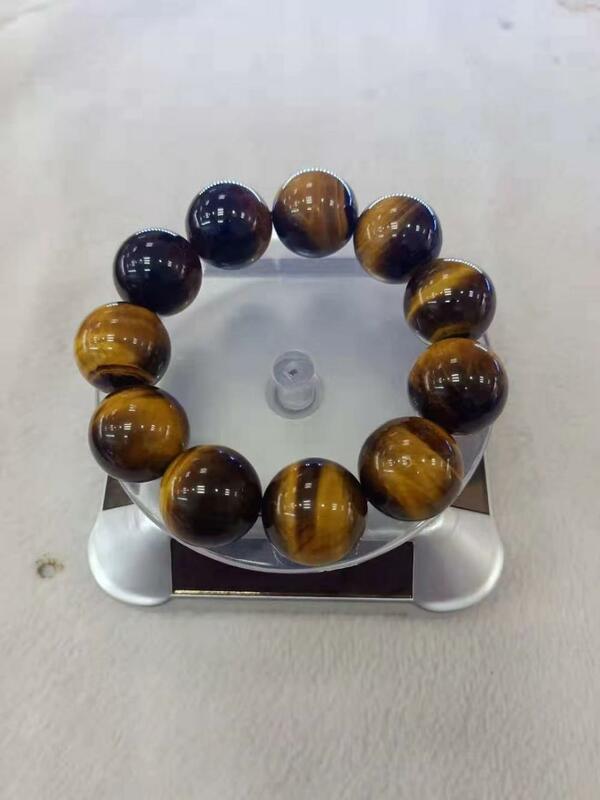 Looking for ideal Tiger Eye Bracelet Manufacturer & supplier ? We have a wide selection at great prices to help you get creative. All the Tiger Bracelets are quality guaranteed. We are China Origin Factory of Tiger Eye Bracelet Meaning. If you have any question, please feel free to contact us.